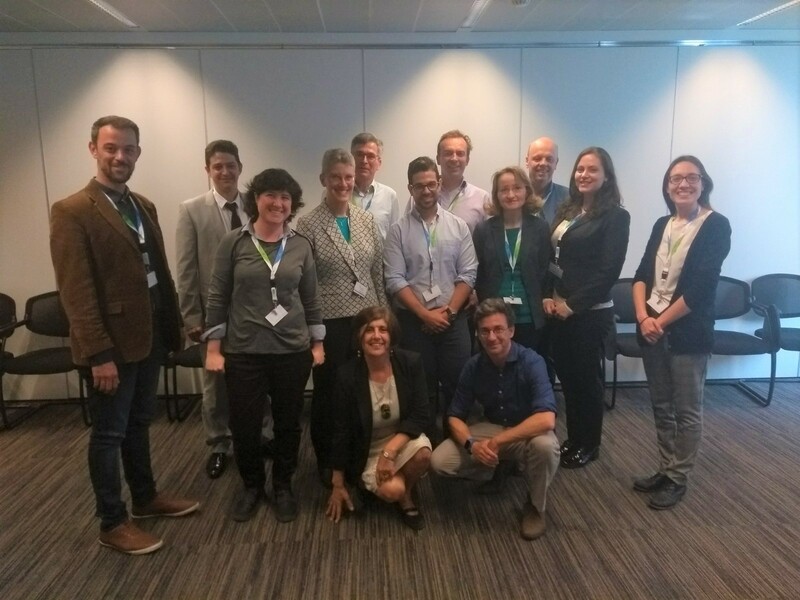 Coinciding with the end of the project’s first period, the GreenProtein consortium held its third General Assembly on May 23rd and 24th, this time in Bio-Based Industries Joint Undertaking premises in Brussels. This was the perfect opportunity for the whole consortium to discuss and assess the work done during the first 18 months of the project and to prepare for the following period. The goal of the GreenProtein project is to develop and demonstrate a new integrated process capable of valorising residual agri-food waste into high added value additives, more specifically, RuBisCo protein. This will not only reduce food waste and create new revenue streams for the agrif-ood industry, but it will also contribute to circular economy and protection of the environment. To achieve its purpose, GreenProtein will stablish a DEMO plant for the extraction and purification of RuBisCo protein from vegetable remnants. It will be an easy replicable plug-and-play system installed on a marine container with the capacity to process yearly 4,000tn. of green residues to obtain 521,000 kg. of functional protein gel at 12.5% RuBisCo. The project, that has received 4.2 M€ from the BBI-JU, started on September 1st, 2016 and will end on February 2021. Keep up with the good work team! Further information regarding the GreenProtein project can be seen in our social media: Twitter and LinkedIn, don’t miss it!